Easy Living Home Care, LLC is a premier non-medical in-home care agency that provides senior care, and companionship services in Southern Orange County, California . We strive to provide compassionate and caring services to your loved ones and family members during their time of need. We want to make sure we always provide each loved one with the personalized attention they deserve. That’s why we stay in constant communication with family members throughout the in-home care. We are fully committed to providing the individual attention and personalized assistance your loved ones need. In 2009 Easy Living Home Care and Errands was founded. The owner, with extensive experience working with the elderly community wanted to help people find competent, qualified, and caring in-home care at reasonable rates. 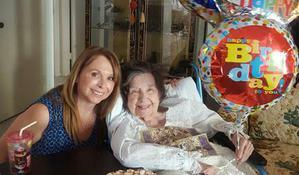 We can assist your loved ones with live-in care, hourly care, companionship, respite care, errands and transportation. At Easy Living Home Care, we pride ourselves on giving our clients superior personalized service. Our goal is to enable our clients and their family enjoy their lives to the fullest. We understand that finding the most suitable and qualified caregiver at a reasonable rate is, at best, challenging and may seem overwhelming. In our experienced hands, we assist you step-by-step through the process and are with you at all times with 24 hour accessibility. We do not give up until you are completely satisfied with the results. We accomplish the results promised because we take your situation very personally. You are not alone. Overwhelmingly, our referrals have come from our happy and satisfied clients.